Patek Philippe & Co. 18kt White Gold Watch and Chain, c. 1940, silvered dial with applied gilt arabic numerals, sunk seconds and Breguet-style hands, 18-jewel, stem wind and set, damascened movement marked in part "no. 880928/Patek Philippe & Co./Geneve Swiss/PKP," monogramed snap-back case with interior marked "A.W.C. Co./227030," enameled link 14kt gold chain, and original box marked with "Shreve, Crump & Low Co./Boston," dia. 43.5 mm, 63g. 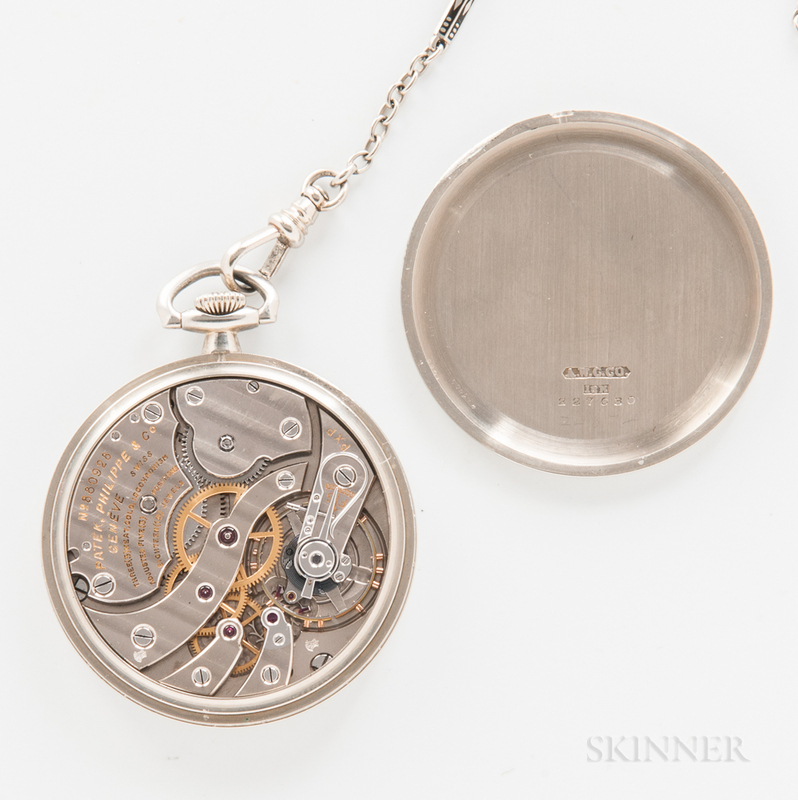 case back monogramed CDH, sets, ticks but does not stay running, slight discolorization to upper portion of the dial.